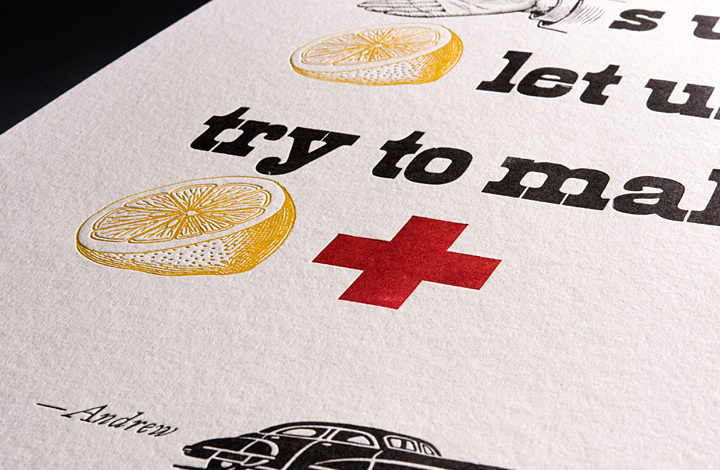 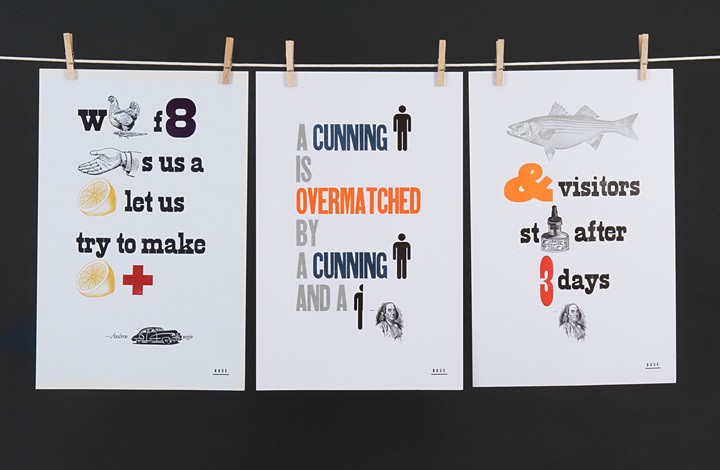 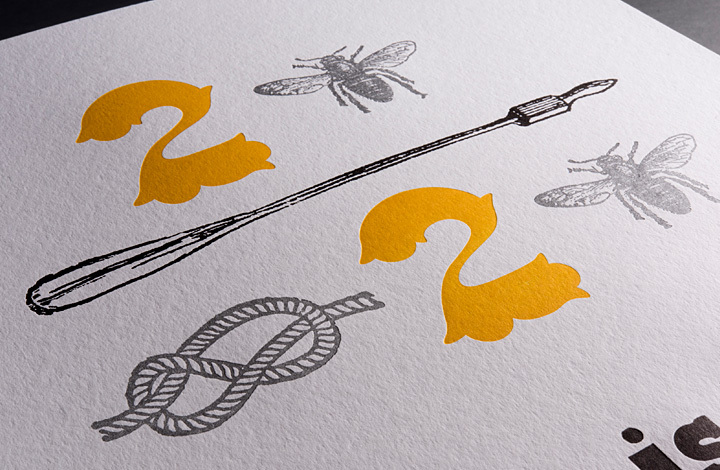 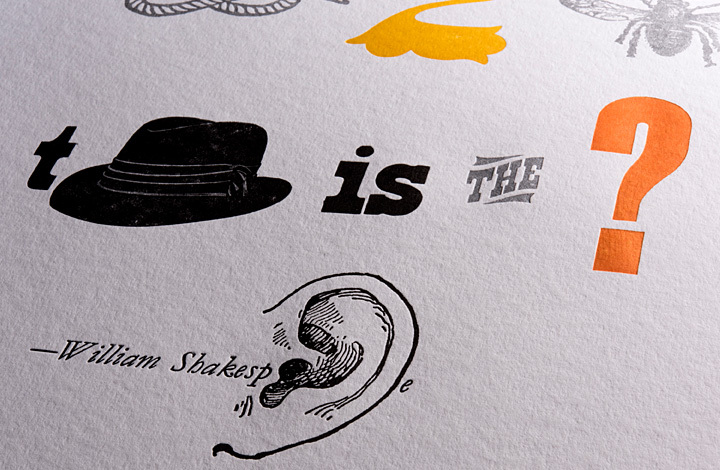 Series of 13” x 20” broadsides with well-known and familiar phrases reinterpreted as rebuses. 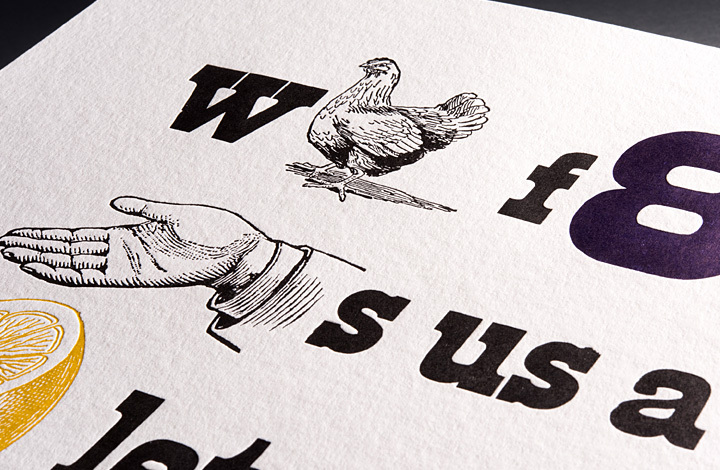 Printed by hand using a vintage Vandercook SP-15 letterpress. 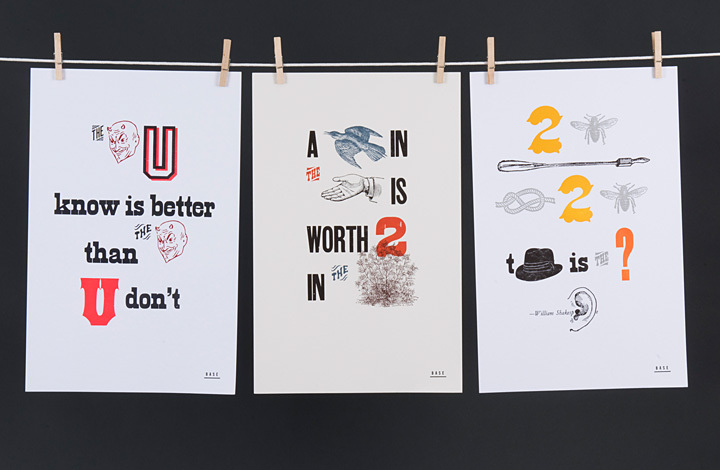 The Rebus Quotes and Other Typographic Explorations project brings together two of my favorite long-term interests: rebuses, those words and images coming together to make a visual puzzle, familiar to many of us since childhood when we first encountered them while learning to read, and letterpress printing, a centuries-old method of putting ink to paper. 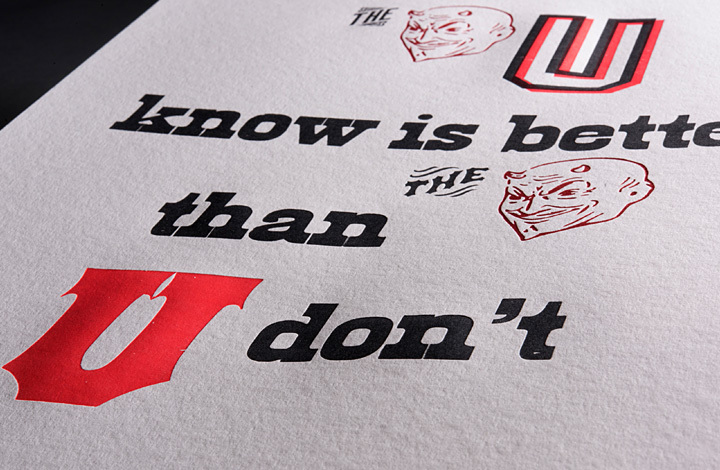 For more information, please visit Base Press.